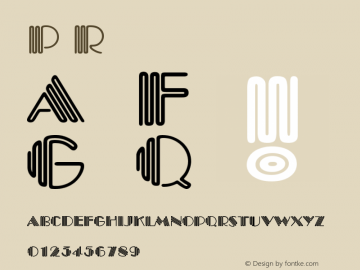 Piccadilly font family series mainly provide Regular and other font styles. Piccadilly D OT font family series mainly provide Regular and other font styles. 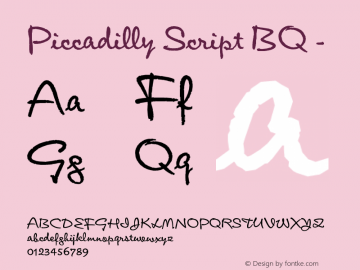 Piccadilly Script BQ font family series mainly provide - and other font styles. 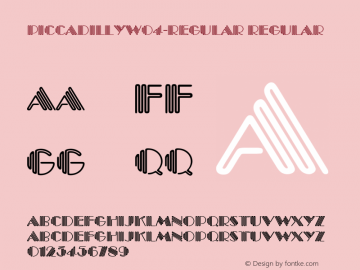 Piccadilly-Regular font family series mainly provide Regular and other font styles. Piccadilly D OT Only Shadow font family series mainly provide Regular and other font styles. 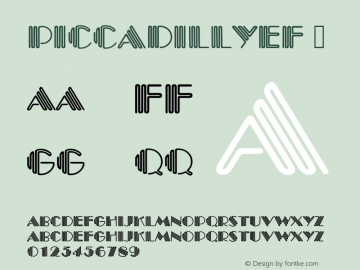 PiccadillyD font family series mainly provide Regular and other font styles. PiccadillyEF font family series mainly provide Regular and other font styles. PiccadillyOnlShaD font family series mainly provide Regular and other font styles.